che ne dite?mi piacerebbe vedere i vostri commenti..
Thursday I have to say that I did not have a good day, let’s say that it was not a typical day. 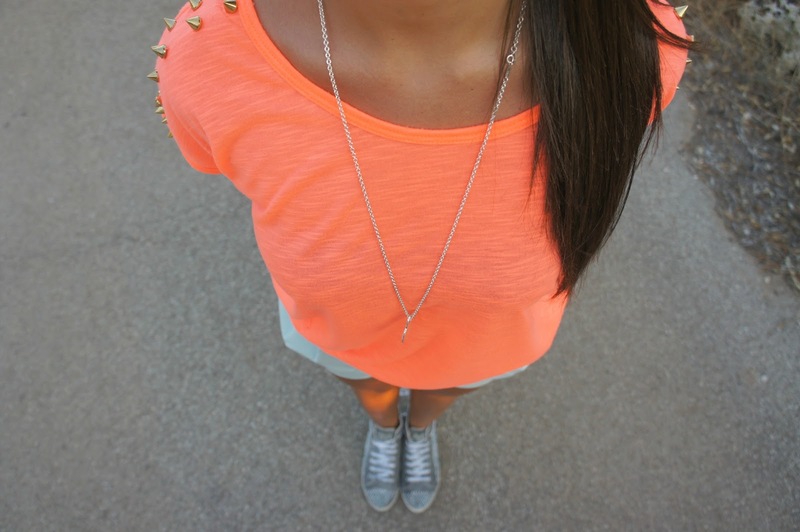 This is what I chose to put: blue shorts, sneakers and coarse fluo Happiness. 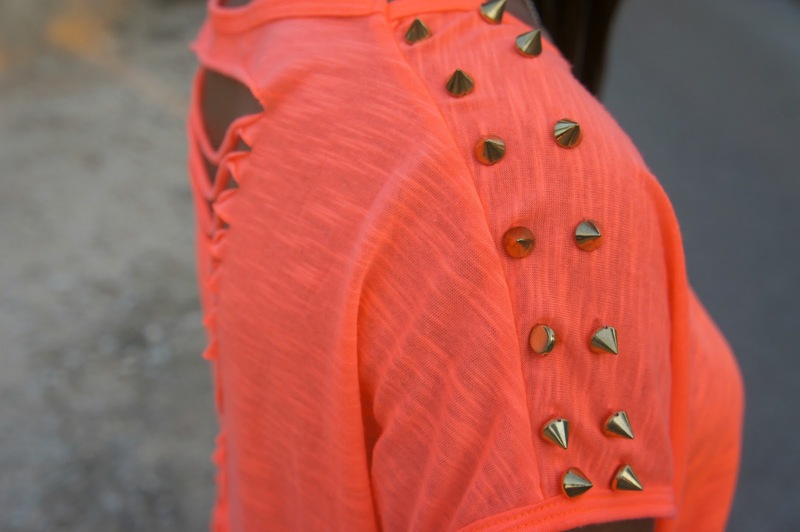 everything studded! what do you think? I’d love to see your feedback. Arrivo da Yahoo Answers ho letto la domanda che mi invitava di vedere questo blog! L’outfit è molto carino però non condivido la scelta delle scarpe da ginnastica! Una scarpa con il tacco e un po’ di plateau avrebbe allungato e slanciato la gamba che con questi pantaloncini e scarpe appare un po’ tozza. Mi spiace che sia stata una giornata no, questo llok invece e’ perfetto adoro la tee! Thank you so much for your lovely comment!!! Sure!! We can follow each other!! I follow you now! !